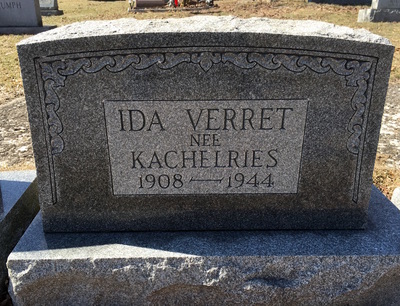 Mrs. Ida (Kachelries) Verret, of 427 Main Street, Hartford, was born October 6, 1908 in Shamokin, Pennsylvania, daughter of Stella (Murphy) and Charles Kachelries. She was found dead at the circus grounds after the fire on July 6, and was buried at Odd Fellows Cemetery in Tamaqua, Pennsylvania after services at Ahern Funeral Home on July 7. 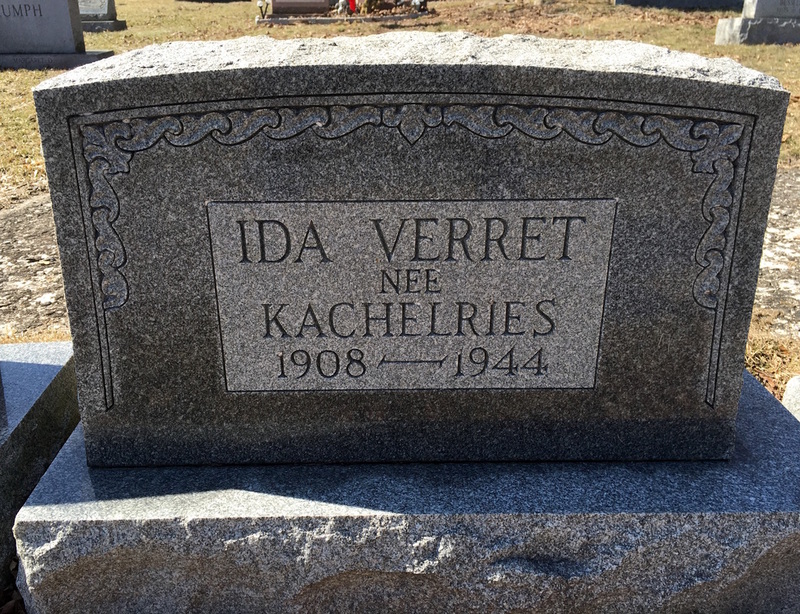 Ida leaves her husband, Frederick Verret, 36; her daughter, Joan, 8, and son, Frederick, Jr., 5, who also attended the circus and survived; and her mother, Stella Kachelries. Body #2171 was identified at the State Armory as Ida Verret on July 7 by her husband, Frederick. Ida's husband, who worked for the War Production Board in Mt. Washington, Pennsylvania, had recently transferred to Hartford and his wife and children moved to the area with him. Frederick's sister, Myrtle Verret, 22, was visiting them in Hartford at the time and was also a victim of the fire. The estate of Ida Verret was awarded $9,750 by the arbitration board.